We are a full service Auto Repair Facility. We take great pride in our abilities to care for your vehicle from the ground up. Let us make things easy, so you can get back to your life. Modern electronic fuel-injection systems are some of the most trouble-free systems in your vehicle. However, if your vehicle has accumulated more than 75,000 miles, there is some routine fuel-injection-system maintenance that should be considered. The two most common maintenance jobs are fuel-injector cleaning and throttle-body cleaning. Steering fluid is a lubrication used to help your car’s power steering system run smoothly and efficiently. If your car’s power steering pump suffers from a serious mechanical problem, you may have to flush your steering fluid. Bays Auto ASE trained mechanics can properly evaluate your power steering flush to see if it is necessary to perform a power steering flush on your vehicle. Wheel alignment normally takes less than one hour. The vehicle is placed on a platform, which allows the wheels to spin while a computer calculates orientation. The computer compares this to a database of manufacturer specifications for the year, make and model of the car. If wheel alignment is off, an adjustment is made and the vehicle is tested again. Balancing can be done at the same time, if required. Your car’s radiator and cooling system needs to be clean to be cool. As time goes on, your car’s radiator builds solid deposits that can clog the cooling system. A quick, inexpensive radiator flush can keep the system in shape. It’s important to change your antifreeze seasonally. The cooling system flush involves draining the cooling system, flushing it to remove any dirt and build-up, and re-filling it with new quality fluids. Our radiator flush service in Phoenix can help prevent inconvenient vehicle problems or unexpected issues that can stem from letting your radiator go unchecked. This service can be scheduled along with regular maintenance (like oil changes or tire rotations) for less hassle and for peace of mind, knowing your vehicle has received all recommended maintenance. 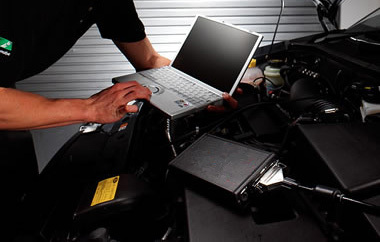 Our Phoenix car repair technicians check every major component of your vehicle’s operating system. Our diagnostic tools often pinpoint underlying issues that may keep your car from running at its best. Your tune-up puts the power of knowledge in your hands, so that you can anticipate maintenance needs before a breakdown occurs. 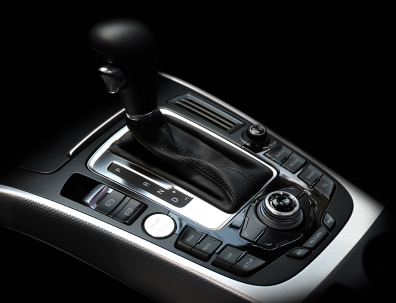 If you have an automatic transmission in your vehicle then you should have the transmission fluid flushed to keep your vehicle well maintained. The transmission is often forgotten until problems arise. By then it is too late and you end up with costly repairs. It is best to flush the transmission fluid every 30,000 miles or three years. 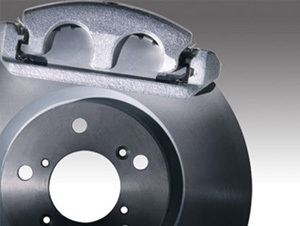 Quality and dependable brakes are one of the most important ways to keep your vehicle safe. Bays Auto Service and Tires in Phoenix performs precision brake replacement and service to ensure quick-responding and reliable brakes. We cover maintenance and Phoenix car repair services for all air conditioning systems. 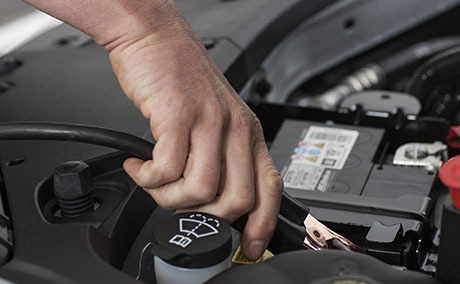 From a recharge to a full system repair, our service staff will have your air conditioner working efficiently and get your vehicle back on the road quickly. Come in for a free complete air conditioning inspection. Fuel injection is a system for mixing fuel with air in an internal combustion engine. It has become the primary fuel delivery system used in automotive petrol engines, having almost completely replaced carburetors in the late 1980s. CV or constant velocity boots protect your CV joints located on the axles of your car. A ripped CV boot will cause your CV joint to fail, an expensive and unnecessary repair if you tended to the ripped boot when you should have. Dependable brakes are one of the most important ways you can keep your vehicle performing safely. Bays Auto in Phoenix performs precision brake replacement and service to ensure quick-responding, reliable brakes. An engine oil flush is designed to get rid of all of the old engine oil and clean the engine components and orifices. Includes changing your vehicle’s oil, replacing your oil filter, inspecting fluid levels and generally making sure your vehicle is running smoothly. We use top quality products, and perform top quality service. De-carbing is done with a cleaner to loosen and break up any carbon buildup that has formed on the tops of your pistons, underside of your heads, and flats of the valves. We follow your manufacturers specified Maintenance Schedule along with our own comprehensive inspection. We will then prioritize services starting with safety items to keep you in a safe vehicle. Learning to recognize necessity for engine repair is one of the best things that you can do for the health of your vehicle. In all actuality, most drivers are able to feel out an issue with their engine because the engine deteriorates slowly. 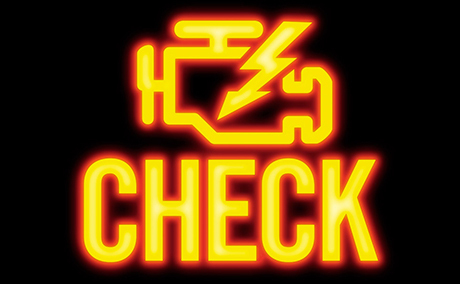 Subtle and unnatural noises can be a good indication that engine repair is on the horizon, but technology has taken us a step forward and now offers us access to one of the most easily recognizable symptoms of an engine issue; the Check Engine Light. Some drivers have sort of learned to ignore the check engine light, often chalking its presence up to a dead sensor, or some other minor issue. The fact is, allowing even these small issues can cause more serious problems to stack up behind a seemingly minor cause. For example, allowing a sensor to operate in disrepair can affect the fuel mixture in your vehicle, causing poor fuel economy, clogged fuel inje ctors and build up in combustion cylinders. These are the kinds of problems that the sensors in your vehicle are designed to help prevent, and a broken sensor certainly can’t get the job done. Standard Engine Maintenance consists of a few basic but extremely important processes and checks. Here are few of the important. Oil – Never underestimate the effectiveness of regular oil changes. Engine oil is the primary lubricant for all the inner workings of the engine, and because it is exposed to a heavy dose of dirt and other contaminants, it is necessary to change out the engine oil from time to time. Though there has been some debate about at what mileage it is prudent to change your vehicles oil. We take the stance of sooner rather than later and better safe than sorry. Coolant – there are two specific things that should be considered with engine coolant. One is keeping the fluid at the proper level; the other is making sure that the coolant is changed out roughly every 2 years. Holding to these simple guidelines will save your engine, and your radiator. Air Filter – The air filter is what helps clean the air in your engine before it is mixed with fuel and combusted. Changing out your air filter annually is generally a good idea, especially if you find yourself driving around in the desert, or getting caught in dust storms more often than usual. Belts and Hoses – Usually, a visual inspection of the belts and hoses of your vehicle is all that’s required. However, a failed Timing Belt can have catastrophic consequences on your engine. The problem is that replacing a timing belt can be labor intensive and therefore expensive. Because of the location of the timing belt, it is quite prudent to replace certain seals and hoses, and possibly service or replace the water pump simultaneously. We recommend replacing the timing belt before 70K miles to help make sure that you don’t experience any major engine problems. The fact is, you engine is actually quite capable of running for quite some time before any serious maintenance needs to be performed. However, this is only true if you keep up on the processes required to keep it in good health. In the end, your engine relies on multiple parts of the car to stay in good health, and other aspects of the vehicle are driven by the engine in turn. Don’t let small problems turn in into major issues by ignoring them until it’s too late. There are a few things that need to be addressed when restoring your gas mileage to factory specifications, primarily it comes down to ensuring that the components which make up your fuel system are running clean, and tuned within the factory specifications or better. The important thing to remember when thinking about a vehicle tune up is the fact that there are several smaller parts of the vehicle that most drivers rarely consider in the normal maintenance of the vehicle. Spark Plugs – Over time, spark plugs get dirty, wear out, and stop working just like everything else. And though spark plugs are designed to last for quite some time, your vehicles performance will benefit from replacing them before they become useless. Fuel Filter – The fuel filter keeps the vast majority of contaminants in gasoline from clogging up combustion chambers. Most people don’t consider the idea that gasoline can actually be dirty, but the fact remains, and fuel filters need to be cleaned or replaced periodically. Air Filter – Just making sure that the vast majority of the dust in the air doesn’t get inside your engine makes a huge difference in its health. If the air filter is not replaced from time to time, your engine can quickly develop a sludgy build up. 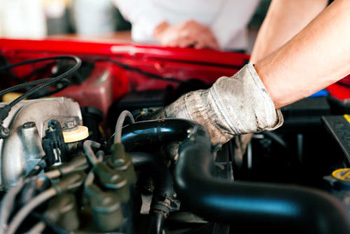 Oil change – a standard tune up generally includes an oil change. We all know what happens when an engine is allowed to run with dirty or insufficient oil, and it’s never pretty. If you recently changed your oil, we can leave this out of the process. But we do suggest letting these kin ds of things happen all at once for the sake of convenience and peace of mind. Making the choice to give your vehicle a tune up from time to time can be one of the best investments you can make for your vehicle. More than anything, making sure that your car gets attention when it comes to the small stuff will help keep it healthy for the long haul. Our technicians will make sure that you’re all the minor processes are taken care of, so you can drive with complete confidence. 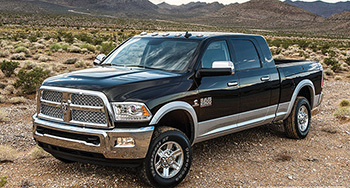 Whether you use your diesel truck strictly for work, or you take it out for a romp in the desert, diesel truck maintenance is high on your list of necessities. We all know that diesel engines are built to last longer than the normal gas engine, but they also require a little extra attention from time to time. When diesel engine maintenance is performed at the correct intervals, you can expect to get both extended life and stellar performance through the life of the vehicle. Understanding the symptoms of an imminent brake failure can be a huge help in keeping your car brakes functioning. Here are a few of the early warning signals that can help you make a good determination on what kind of brake service you actually need. Squealing brake noise – this is usually an extremely straight forward repair. The solution consists of simply replacing the brake pads and moving ahead. If you continue driving with a squealing or grinding noise when you brake, you risk further damaging the rest of the brake system and will increase the cost of the repairs. Replacing brake pads is an excellent time to inspect the brake system for any potential problems that may arise in the future. Let us know if you want a full inspection conducted at this time. Mushy brakes – this kind of issue is more often than not a symptom of a problem with the master cylinder or a leak in the power brake system. The problem here is that If these kind of issues are allowed to continue, you can find yourself with little to no stopping power at all. g. Warps or grooves in the brake rotors won’t allow your pads a smooth surface to rub against, and that vibration you feel is the brake pad losing and regaining contact in quick succession. This actually compounds the problem and makes the issue worse as time goes by. Learning to recognize early warning signs of a car ac problem can be an advantage in making sure that the system stays healthy. So we have put together a quick list of common car A/C problems and the most common solutions to the issue. Intermittent failure – a truly confusing situation is one where the AC works intermittently. This kind of trouble can stem from a wide variety of problems including too much moisture in the AC system lines. If the lines freeze over, your ac will quit blowing cold until the ice melts and can circulate Freon again. No Cold Air – This is usually caused by a leak somewhere in the lines of the system. 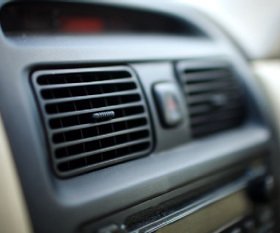 Car air conditioning is intended to be a closed system which circulates refrigerant. If this refrigerant escapes then the process of cooling fails and you can actually cause damage by running it. Our advice is to keep it turned off until we can take a look at it. Strange noise – any kind of strange noises should be taken quite seriously indeed. A whining noise could be something a simple as a belt on its way out, but if this problem is allowed to continue, it is quite easy to cause damage to other components such as the compressor. Decreased functionality – Sometimes It happens that the air from your vents just isn’t as cold as it used to be. The most likely solution to this is a Freon recharge, but it may be a good idea to inspect for leaks before refilling the system, otherwise the solution will be temporary and issue will recur. Bad Smell – Occasionally, it is possible for a foul odor to emanate from your air conditioning system. Thankfully, the issue is usually very quick, easy, and cheap to resolve. Replacing the cabin air filter is generally all that’s required. 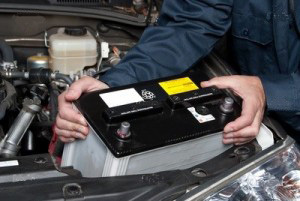 One of the more import ant things to remember when it comes to auto electrical repairs is the fact that electrical repairs can sometimes be a time consuming process. If the technician is aware of source of a problem, then the issue can be resolved in a fairly short amount of time, however, the process of discovery is usually what takes up the vast majority of time when making an electrical repair. Fuse – the fuse is always the first thing that should be checked before getting into any of the more serious work. If a fuse has shorted out then the cost of repairs should be quite low and extremely quick to conduct. Component – if an electrical component has failed, a simple replacement is usually all that is necessary. For example, there are few things easier than replacing bulbs for your headlights, or switching out a failed sensor. These kinds of repairs are generally quick and easy. Line – working with the electrical lines of a vehicle is really where the work starts getting tough. After consulting the schematic for the vehicle, checking the voltage of the line in question is always the next step. If the line does not have the proper voltage then it can become necessary to replace the line altogether. 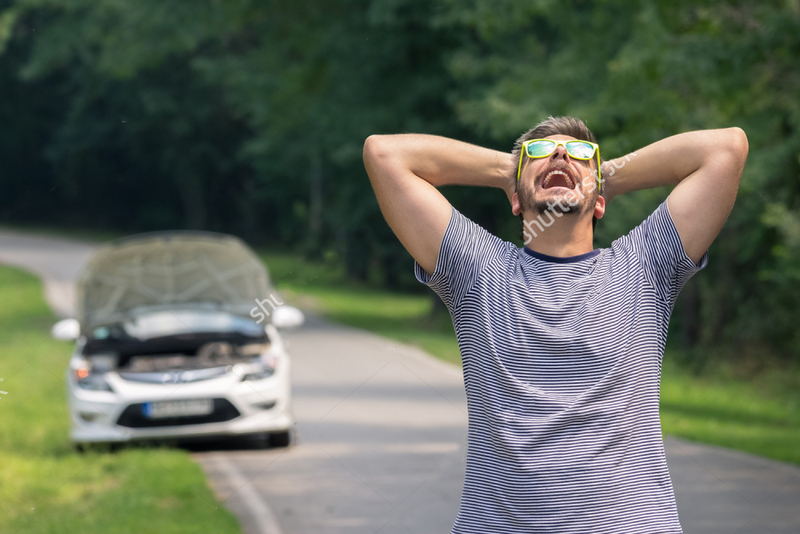 Because More and more components of modern vehicles are relying on electricity, it can quickly become a small nightmare to untangle the wiring and find the malfunctioning piece. From there a decision must be made to replace the line entirely or attempt a patch and make the existing wire function again. Here are a few guidelines that will help you identify a problem in its early stages, and give you the time necessary to correct the issue before major damage is done. Proper Fluid level –Transmission fluid is what cools and lubricates the gears which operate inside the casing. Too little fluid and the transmission will begin to overheat; literally smashing itself to little pieces in the process. Too much fluid has the same effect, this is because too much fluid can cause the liquid to foam up, and act as a very poor lubricant indeed. Transmission Leak – Stopping a transmission leak dead in its tracks makes a huge difference in the life of your transmission. Maintaining the proper level of fluid is paramount to the proper function of the transmission. Leaks can quickly compromise these tolerances and cause the whole system to fail prematurely. Many people tend to think that automotive diagnostics and car troubleshooting are performed primarily by computers in this modern day and age. What many drivers don’t understand is that reading what a computer tells you about your vehicle is only the beginning. A vehicles computer really only tells you what is occurring, not why, or how to fix it. The many sensors that operate in your vehicle are designed to gather information about the behavior of your engine and store that data for later collection by the technician. A natural knack for problem solving and critical thinking is required to delve down past the side effects of an issue, and discover the solution to any given car problem. For example, something as simple as a rich O2 reading can result in the discovery that nearly all the fuel injectors are clogged, and two cylinders are misfiring regularly. Once a technician discovers such a thing, he still needs the foresight to consider that the problem is actually stemming from the fact that your fuel filter hasn’t been changed in 3 years, and that it has caused your catalytic converter to fail from overexposure to unburned gasoline. These things in mind, it is very easy to understand that the real difference between the expertise of certain auto shops has little to do with the equipment; it rests squarely on the training, competence and aptitude of the technicians that fix the vehicle. We take great pride in the fact that our technicians are ASE certified, and hand selected for their experience and professionalism. By expecting a higher level of professionalism from our own, we are able to deliver a superior auto repair experience to our customers. We understand that your time is valuable, and you simply cant be expected to put your life on hold while someone spends days trying to figure out what is the matter with your vehicle. Our technicians apply their experience and training to quickly and accurately assess the situation and execute a lasting solution.